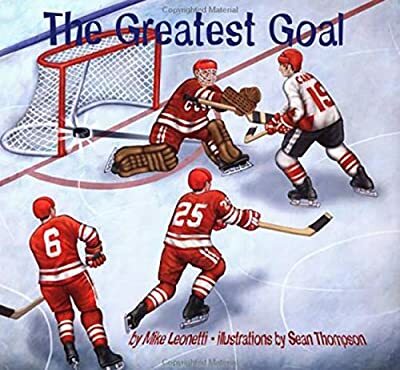 Author: Leonetti, Mike Set In . . . It's the start of a new school year, and ten-year-old Paul is just starting to play hockey on a team. More than anything else, he loves to practice his shots in the driveway with his Dad. But soon after school begins, Paul's Dad gets a promotion at work and he no longer has time to play with Paul. Luckily, they can still have fun together watching the most exciting hockey ever - the showdown between Team Canada and the Soviet Union for the title of best hockey team in the world. At first, the Soviet team has the lead; then, the Canadian team rallies. No one can tell who is going to win the series. At last, the day of the tie-breaking final game arrives and Paul's school principal announces that everyone can go home to watch it. Paul is happy to go home, but sad to think that he won't be able to share this great moment with his Dad. But then he learns that you never can tell what will happen - sometimes our heroes overcome all the odds, just when we least expect it. Here is an enduring classic for all fans of the game, young and old. With wonderful, evocative and colorful illustrations, and information at the back of the book about the historic 1976 Canada-Soviet Union series.